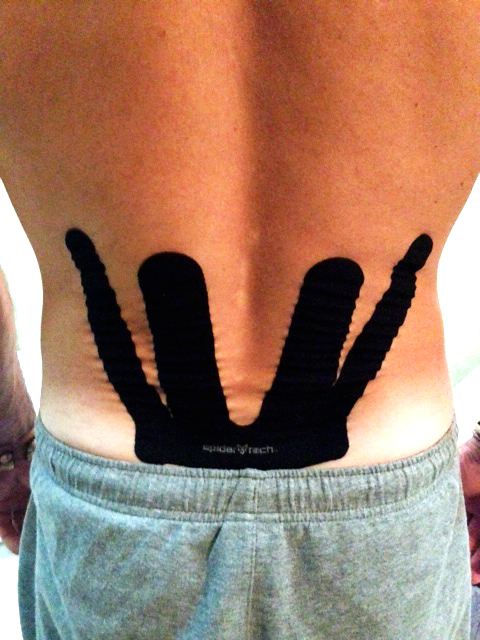 Tape is applied by the chiropractor to improve proprioception and speed recovery from a number of different types of low back pain. Tape is applied in the forward flexed position and when the patient is standing it looks wrinkled. This is intentional as it increases the nerve impulses giving feedback to the brain. This patient reported a 30 % improvement in 3 days with this tape. Tape is waterproof and remains attached for up to 2 weeks. 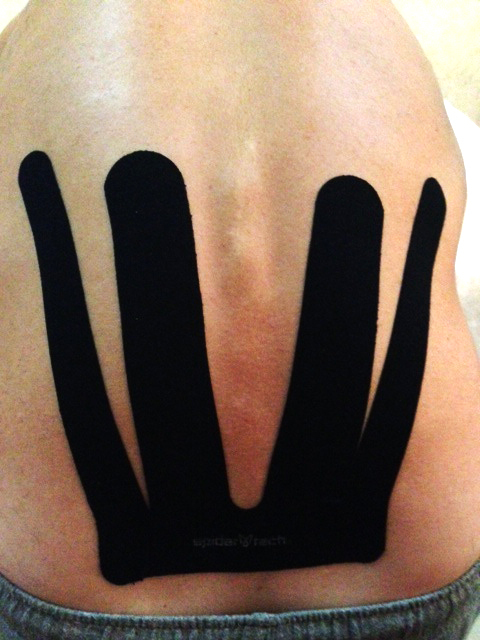 When the tape is applied, athletes will often be able to notice a difference between a taped muscle on one side and the non-taped muscle on the other side. They often report a feeling of lightness, or support. Because the tape is flexible (it can stretch 130-140% of its original length) and applied while the muscle is stretched to its end range it does not affect flexibility or range of movement. It is breathable, and can be worn without coming off in the shower or due to sweat.